Google Glass is dead, and the company is doing everything it can to make the world forget it ever sold the wearable experiment. It wasn’t a complete disaster, though. The product had occasional moments of brilliance, like this Lego Assistant app that walks users through building a complex model, without the need for a manual. 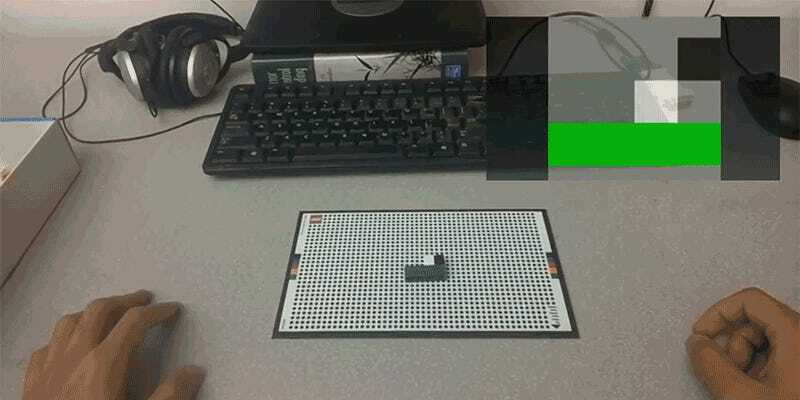 Developed by Zhuo Chen from Carnegie Mellon University’s School of Computer Science, Lego Assistant uses the pixelated play mat from Lego’s Life of George game to allow the Google Glass app to recognize a Lego creation as it’s being assembled. Using the heads-up display and voice instructions, the app walks a user through building a Lego model step-by-step. It’s even smart enough to know when a brick has been incorrectly attached, and will automatically provide steps on how to fix the mistake. The app was never made available outside of Carnegie Mellon University’s research circles, and that’s too bad because it was a good example of how Google Glass might actually have been legitimately useful. But was it enough to justify the wearable’s obscene price tag? Definitely not, even for the most dedicated of Lego fans.